We keep an eye on the Kickstarter site for fun new iPad projects. The system allows people with ideas to ask folks to give them money to fund the creation of the products. Normally, the donators get either special versions or the first of the products off the assembly line. 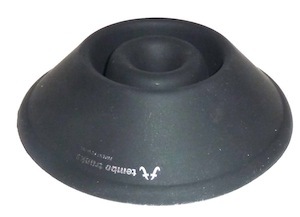 While the Tembo Trunks come in a variety The Tembo Trunks are easy to expand and collapse, and since they are made of silicon you don’t have to worry about denting. 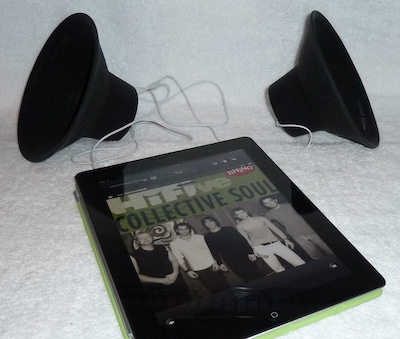 Collapse the ‘speaker’ and take them with you, your iPad and your iPad headphones. There is a ridge and two flaps to hold a headphone into the Tembo Trunks. These help to get the headphones properly aligned for most balanced music. 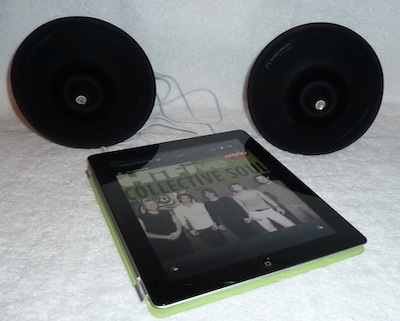 If all you want is your music louder, just stick with the iPad’s built in speaker. If you need/want stereo, then these will work great for you. The Tembo Trunks work great on a desk or a smaller/quiet room. 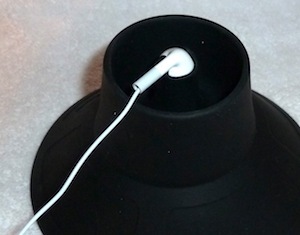 There are a couple in-line boosters that we want to try to see if we can get even fuller sounds out of the iPad’s headphones. As you can see with this chart from Tembo Trunks – a bit more volume and speaker fulness (as well, stereo) is brought about with better grade headphones. We have some folks in the office that play with speakers for their home stereo so they jumped right onto these to see what else they can do with the Tembo Trunks. Since there is no power to amplify the signal and the size of the headphones are so small there won’t be a lot of air moved to get more volume. If anyone ends up with ‘great’ results out of their Tembo Trunks in boxes, we’ll post up the results here.